Dad was a slave-plantation owner = Surya-rules-4 farming. Dad also practiced skilled carpentry = Shani drishti into Surya practical skills. Although socially he was a member of the aristocratic planter class Surya-Meza * uttama, Dad's agricultural plantation was not profitable. Ketu-9 also suggests an absentee father. The same difficulty would beset James, who inherited and purchased considerable farms and slaves. Yet, James was so often absent Surya in bhava-12 from the settlement that his properties were mismanaged and he fell into debt (also rogesha uttama Zukra lux tastes cause debt). 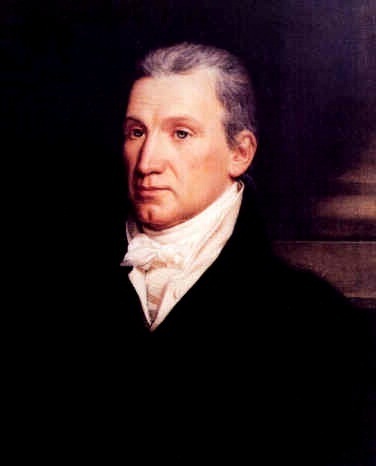 James Monroe inherited his fathers' slaves and deeded plantations. However while James was performing executive and diplomatic roles for the New Nation, his land-holdings and his slaves were not well-managed, and eventually they cost him more than they produced. 1780 until 1783, after the Revolutionary War ended, young Monroe studied law under Jefferson . While serving as USA ambassador to France, Monroe and his wife became close friends with the family of France-Emperor 1769-1821 Napoleon Bonaparte when their daughters attended the same school. Little is known of James Monroe's mother, but Chandra in Purva-azadha in bhava-3 as karmesha would suggest that mom would have been literate , philosophical, sentimental, musical, and a capable manager. The compatible 5-9 angle between Surya-Meza-7 and Chandra-Dhanuzya-3 suggests that Monroe's parents were well suited to each other. Although both his parents died before he finished high school, Monroe's early childhood during Surya Mahadasha and Chandra Mahadasha would have been stable and powerfully influenced by the harmony between his parents. 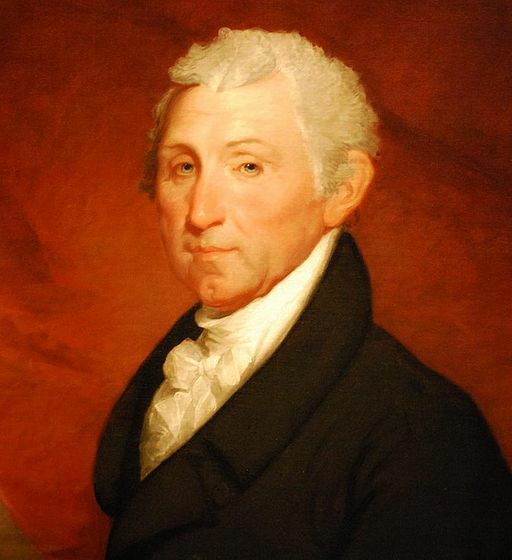 As a foreign diplomat (lagnesha Zukra) in the crucial early years of the newly formed United States of America, POTUS-05 James Monroe engaged in constant literary correspondence and attended countless meetings, presentations, soirees and salons. yuvatipathi-7 + dhanapati-2 Mangala in bhava-10 * Kuja-yuti-Rahu marks Monroe as a passionate, somewhat reactive and highly politicized revolutionary with a gift for exotic arrangements and decisive leadership. Monroe was a fervent revolutionary fighter in youth and severely wounded in a battle against British troops. During Kuja-Kuja swabhukti Monroe dropped out of college and joined a military training camp. He spent the first half of the seven-year Kuja Mahadasha fighting in the American Revolutionary War. Kuja-yuti-Rahu was ready, willing, and able to fight as an officer, due to Rahu-10. nichha-Kuja gave Monroe a special talent for the guerilla tactics favored by General POTUS-01 American Revolution 1732-1799 George Washington. Monroe's fierce fighting in several famed battles, including near-death from a cut artery during Mangala-Rahu bhukti, won him a lifelong honor as a patriot. Kuja rules-7 occupies 10 = honor (10) for fighting (Kuja) for a cause of justice (7). Monroe's career was highly complicated by the emotionally impuslive Kuja-yuti-Rahu in bhava-3. The other major communicative influence is his Budha-1. Monroe's career survived a relentless siege of wars, accusations, and disagreements among the leaders of the baby-nation USA as well as among foreign powers. He had to manage communications with a fractured Congress. Meanwhile he was busy (3) helping to author the Bill of Rights and later crafting policy documents such as the Monroe Doctrine. Monroe's leadership career involved constant contact with the violent circumstances of the French Revolution and the carnage of the American War of 1812 (French-and-Indian War). He did have some personal problems, but he died a natural death and was never assaulted despite functioning in some quite violent environments. Zukra-11 earnings, awards for work accomplished -- but also Zukra rules 6 = financial imbalance. Monroe struggled with colossal debt from over-spending on entertainments during diplomatic assignments. Mainly historians opine this was a result of Elizabeth's craving for a French haute courtier style. Despite having inherited valuable slave plantations, he was almost always in some degree of financial distress. He sold most of his land holdings to satisfy the debt, and died insolvent. Rogesha Zukra-uttama in bhava-11. 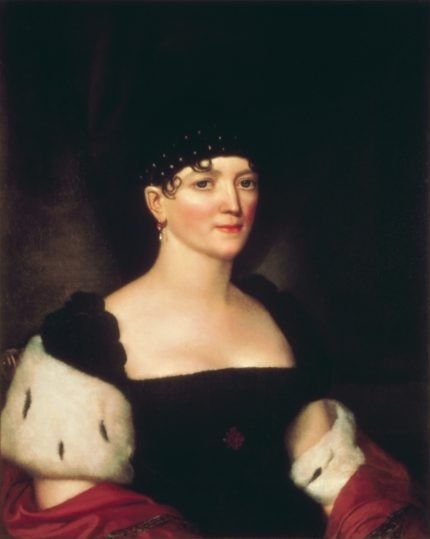 POTUS-05-pair 1768-1830 La belle Americaine Elizabeth Monroe was a known beauty. She supported her husband's career. Yet by the time he reached elite governance ranks, she was too sick with a seizure disorder (believed to be epilepsy) and related ailments to host her husband's presidential entertainments. She remained sick in bed while her daughters hosted the many required parties. Monroe had his own lifetime health problems lagnesha-Zukra, starting with a cannonball injury from the war, plus an ill wife, and lifelong financial insolvency . None of his many government posts were salaried. Following the Roman model, only the wealthy elite were expected to govern the Republic. Like his peers, Monroe received some Congressional subsidies for entertaining and transportation, but in the end, he was not wealthy enough to fund the entertainments, costumes, wigs, and other fine accouterments that he and Elizabeth preferred (kalatrakaraka Zukra wife). Uttama-Zukra-11 loves luxurious large musical parties, public art, and fine architecture. But Monroe's responsibilities took him away from the slave-farms so often that his extensive land holdings failed to produce a net profit, and he did not in truth possess the funds required for the level of luxury that he presumed. Lagnesha Zukra also rules debt-6. Monroe suffered ongoing debt related to extravagant entertainments in the conduct of diplomacy, even while Shani-10 produced a lifelong career of (overall) responsible governance. James Monroe held a long series of executive and diplomatic appointments in the rulership of the New Nation. However his authority was occasionally invalidated (Washington essentially fired him). Monroe was removed from his post in France. When he was Virginia Governor, the slaves especially hated him and targeted him. Having the ruler of 12th-from-10th sitting in karmasthana, even when karmesha Shani also occupies 10, suggests considerable erosion of position. Shani in 3rd-from-Chandrra can be associated with depression. Shani-5 is a yogakaraka ruler of 4-5 who gives slow accomplishment in political environments via patience, repetition, and neutrality. However Shani-5 does not permit gameplaying financial speculation, excessive amusement, or intellectual enjoyment of politics. Shani is being constantly harassed by drishti of nichha-Kuja. Political realities of war and finance for the new USA, which delayed the imposition of orderly economic systems, created ongoing frustration for man-of-principle Monroe. He was obliged to engage with the world of glamour and bright entitlements, but his political and financial life was more focused on damage control -- much less on having fun. Rahu-Karkata yuti Mangala-Karkata * nichha provides a continuous high-energy ascent to privilege and importance (Rahu) from Monroe's age 26 until age 52.
nichha-Kuja and Rahu are both enemies of Shani = both reside in 6/8-from-Shani. Monroe was a member of the VIP cohort (Rahu-3) that included Washington, Jefferson, Adams, Madison, Hamilton, and Burr inter alia. He was known to this band of brothers (3) and he received prestigious (Rahu) appointments from them. However, Monroe made unauthorized treaties and was recalled from his Paris diplomatic post by Washington for being disruptive. In particular Monroe was a vigorous supporter of the French Revolution and he insinuated American support for it while the formal and unchanging USA policy was neutrality. Monroe made public announcements decrying US attacks on native settlements in Florida, then sent private messages to military commanders such as Andrew Jackson, encouraging him to use all available force against the natives. nichha Kuja complicates Monroe's mentality by introducing personal guilt into his professional communication patterns. The combined Mangala-plus-Rahu era (25 years) occurred when he was young and somewhat impulsive. It produced too much volatility overall and bred mistrust of both Washington or Jefferson. This extended 25-year ascent to highest visibility public office began with his aggressive Revolutionary War heroism. The combined Kuja-Rahu schedule ended with his return from foreign service, under criticism from POTUS-01 American Revolution 1732-1799 George Washington for over-reaching (Rahu) regarding Monroe's vigorous support of the French Revolution The USA was supposed to remain neutral, but cant-let-go guilt-master nichha-Kuja-yuti-Rahu can get over- excited about holding on to established (Karkata) bonds. It was only Monroe's early 50's when the Guru Mahadasha began that Monroe obtained higher positions, starting with Governor of Virginia and escalating continuously afterward. After the end of Rahu Mahadasha, Monroe's capability for sustained mature governance= * Shasaya Yoga yogakaraka Shani-10 = began to dominate his career. However it is said that George Washington died from getting on his horse in a snowstorm when he was already sick, in order to go cast his vote against Monroe.